Sugar Cookie strain is an Indica-dominant three-way cross between Sensi Star, Blue Hawaiian, and the Crystal Gayle strains. The high is relaxing but uplifting at the same time. The bursts of energy at the onset from the Sativa give you a blissful high before lulling you into deep relaxation as waves of soothing tingles relax your muscles and sink you into a state of complete chill. Sugar Cookie strain is an Indica-dominant three-way cross between Sensi Star, Blue Hawaiian, and the Crystal Gayle strains. The high is relaxing but uplifting at the same time. The bursts of energy at the onset from the Sativa give you a blissful high before lulling you into deep relaxation as waves of soothing tingles relax your muscles and sink you into a state of complete chill. Sugar Cookie has many medicinal uses, and because of its initial energizing properties, it’s great for lifting the mood and therefore making it beneficial to those who suffer from depression, stress, and bipolar. 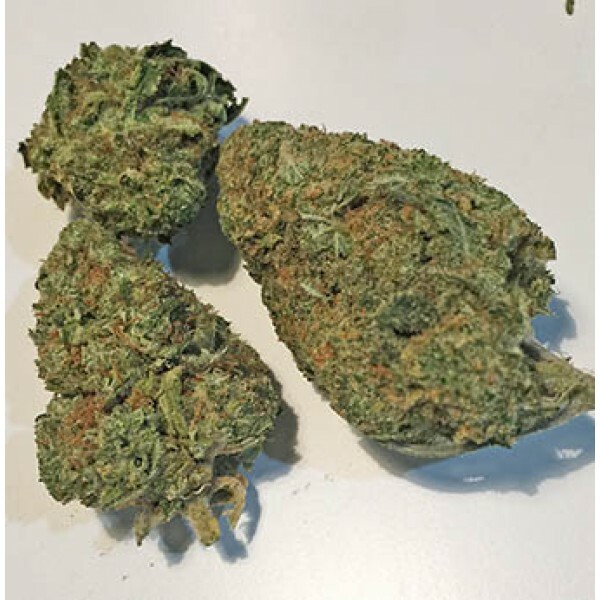 Don't expect this strain to be keeping you at a high for too long as it is also a strong sedative and will induce deep rest making it highly recommended for insomnia, chronic pains and anxiety issues.